barbie's sinema. I found this picture about all barbie's movies.. Wallpaper and background images in the Sinema za Barbie club tagged: barbie princess the three musketeers and pauper corinne. 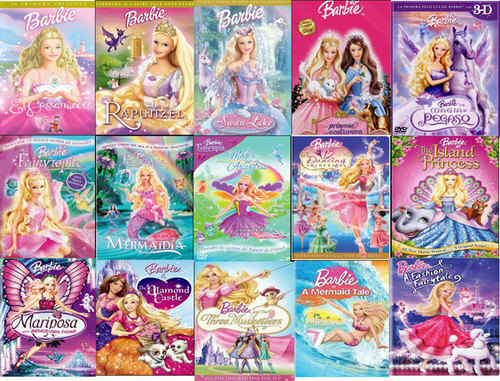 This Sinema za Barbie photo might contain newsstand, duka la magazeti, anime, comic kitabu, manga, cartoon, and mkono.